This property is 3 minutes walk from the beach. Located in Syvota Village, just 100 m from the sea, Vasilis House offers a garden with BBQ and a sun terrace. 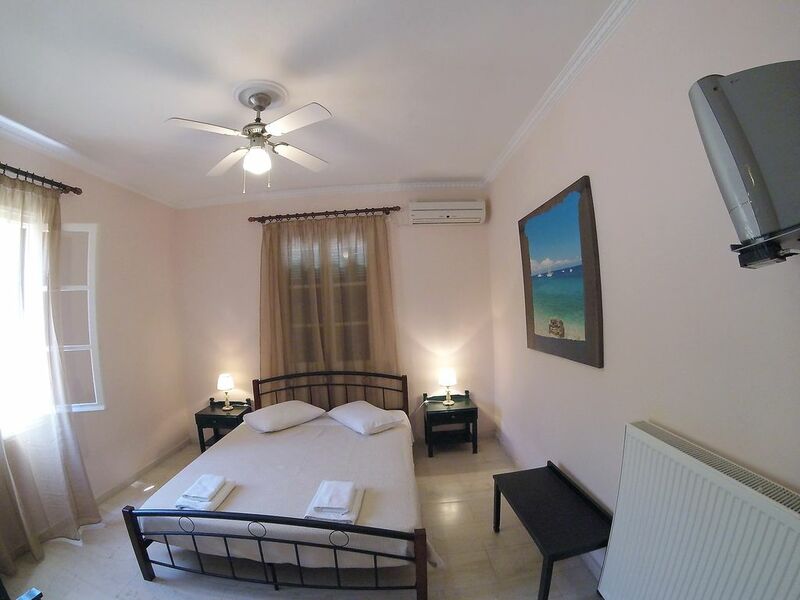 It features self-catering accommodation with views over the Ionian Sea, the garden and the mountain. Free WiFi access is available throughout. All 2-bedroom apartments of Vasilis open to a furnished balcony. Each has a flat-screen TV and a kitchenette with cooking hobs and dining table. Free toiletries are included in the private bathroom. The nearest beach, as well as a café bar and a mini market for the general supplies, can be found at a distance of 500 m. Nidri is at 15 km. Free private parking is possible on site.